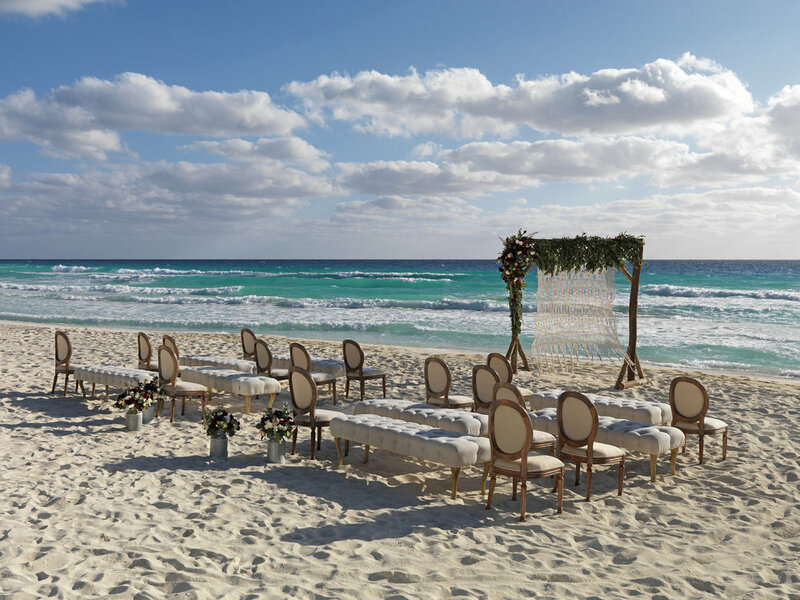 Unico 20°87° has become one of the Riviera Maya’s most popular wedding venues since it’s opening in Spring of 2017. 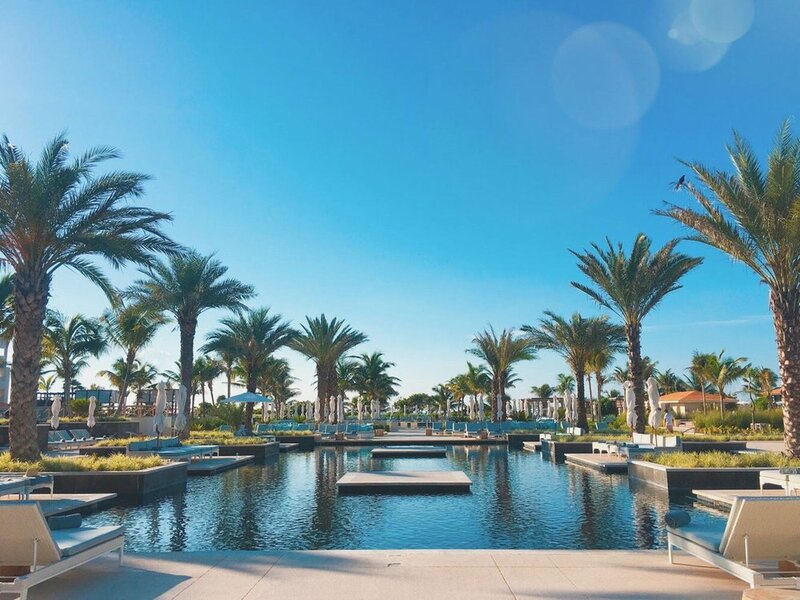 The resort has taken steps to push beyond the boundaries of traditional all-inclusive resorts, offering services and amenities above anyone else. 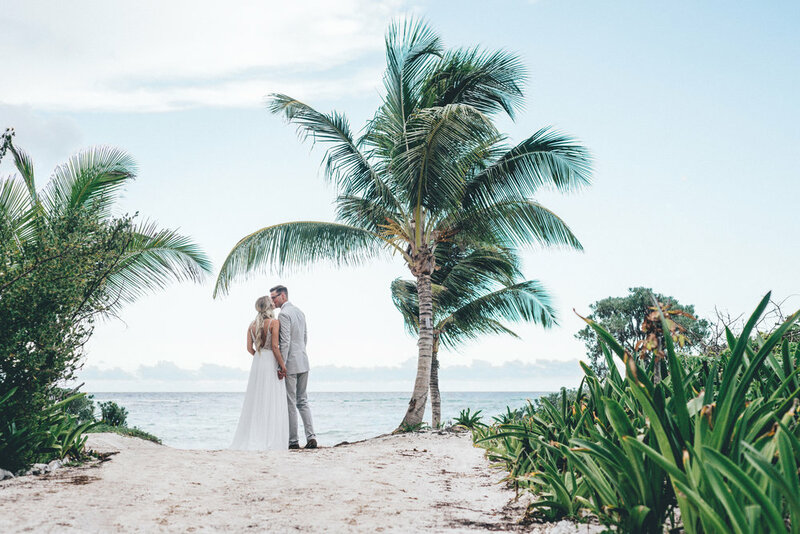 Below we will take you through some of the reasons why this is more than your average resort and why their wedding venues have become among the most sought after in the area. 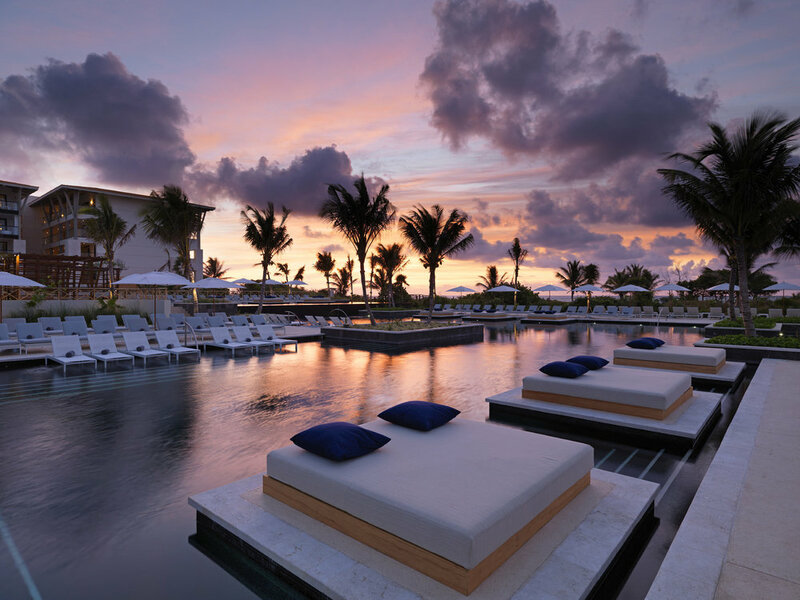 Unico 20°87° is an adults-only resort set along the stunning white sand beaches of the Yucatan Peninsula. Pulling in the culture of the region, the resort’s traditional decor can be seen in everything from the paintings on the walls to the furniture in your suite. Taking the term “all-inclusive” to the next level, Unico 20°87° includes more than just food and drinks in your stay. Select spa treatments and off resort excursions are also included. Unique pop-up programs like Mezcal tastings and full moon parties on the beach take the on site entertainment to the next level. The locally inspired food and drink is all-inclusive with your room booking. 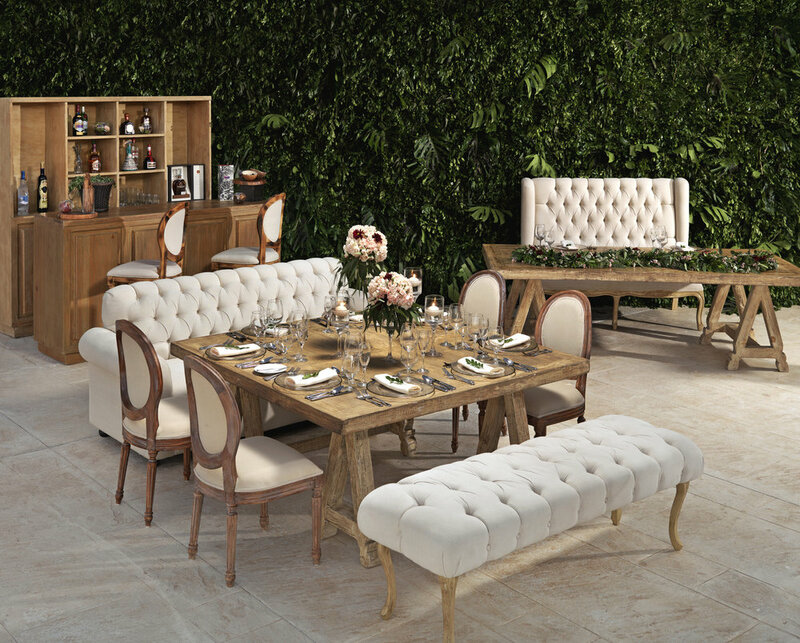 Five unique restaurants range from fine dining to casual fare and you will be sure to find your perfect culinary experience for you and your wedding guests. 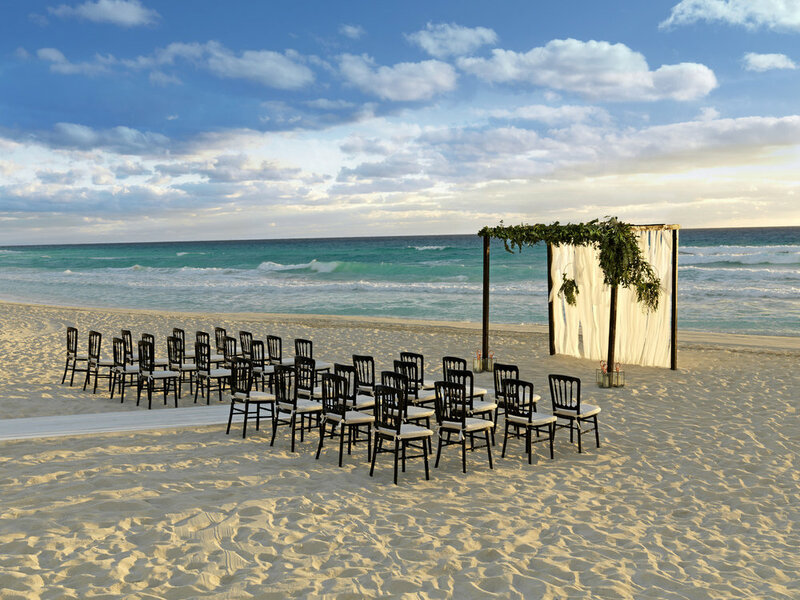 Set among some of the most romantic back-drops, the ceremony and reception locations will please even the pickiest of wedding couples. 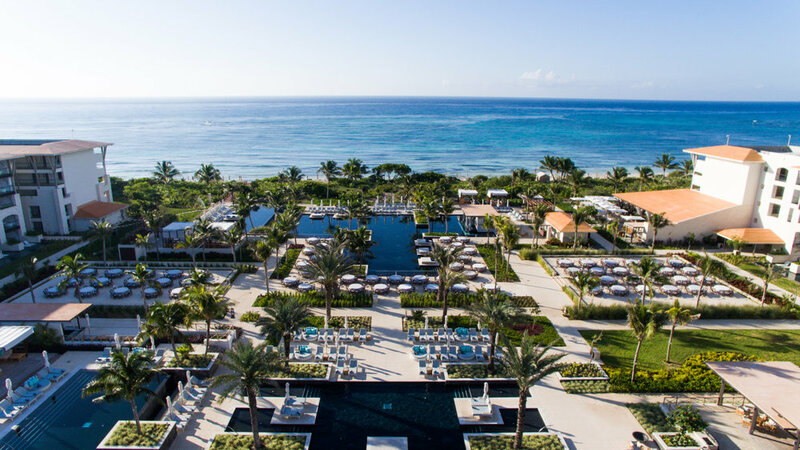 In addition to the the gorgeous natural scenery that lucky couples get when having their wedding at Unico 20°87°, the resort provides some of the most incredible perks. Depending on the size of your wedding, you could be eligible for concessions including complimentary room nights for the bride and groom, complimentary private functions and room upgrades. Book your wedding date early as they fill up quickly! Contact your destination wedding specialist at Coral Tide Travel for specific details on Unico 20°87° destination wedding packages.